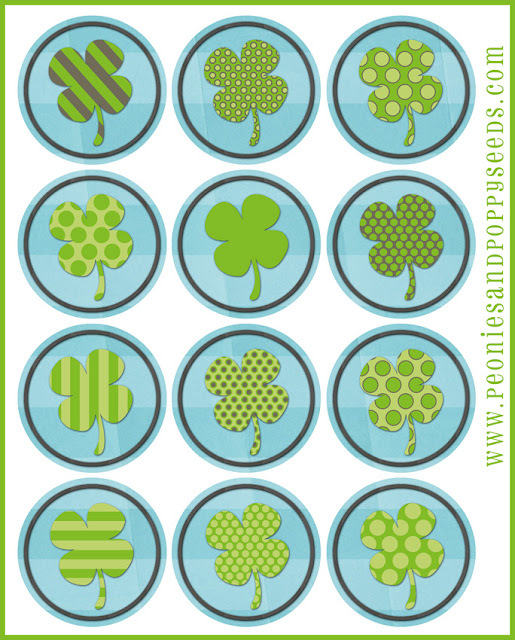 These are multi-use Shamrock Badges that you can print out and do whatever you want with them. Originally I was just thinking that it would be fun to use them to pin to your shirt or something on St. Patrick's day. Then I realized that they can be used as cupcake toppers, or labels, or decorations, or magnets, or WHATEVER really. Because they're just simple circles with shamrocks. It's like infinite shamrock-y possibilities here.